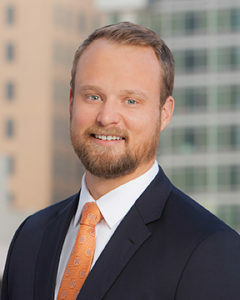 Preston Cavignac attended the University of Southern California where he received his Bachelor of Science in Business Administration from the Marshall School of Business and played on the USC football team. Preston joined Cavignac & Associates in 2011 as an Account Executive. He earned his Chartered Property Casualty Underwriter (CPCU) and Certified Insurance Counselor (CIC) in 2014 as well as his Certified Risk Manager (CRM) designation in 2015. Preston focuses on Real Estate, Construction, Development, Manufacturing, Hospitality, Technology and Nonprofits. He is an active member in multiple associations, including: the National Association of Industrial and Office Properties (NAIOP), where he serves on the Developing Leaders Council; the Urban Land Institute (ULI), where he has served as Co-Chair for their Young Leaders Partnership Forum; the Building Industry Association (BIA) and the Association of General Contractors (AGC). Preston is also actively involved in the San Diego Foundation where he is a Community Scholarship Program Committee member and is a recent graduate of LEAD San Diego’s IMPACT Program. Outside of his professional carrier, Preston enjoys surfing, golfing, skiing, and traveling.